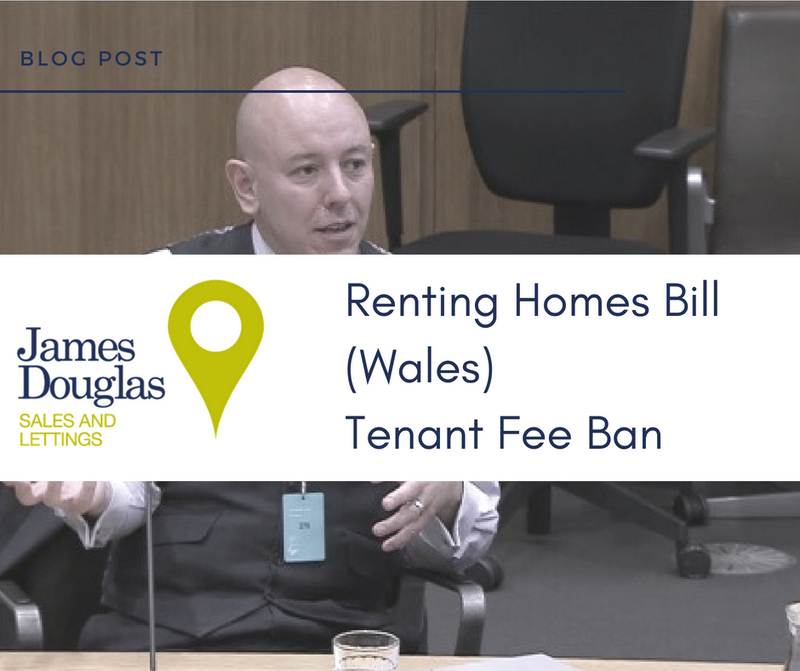 Our Managing Director, Douglas Haig, recently represented the Residential Landlord Association Wales in his position as Vice Chairman, regarding the impact of the tenant fee ban on the industry as a whole. Speaking alongside Chris Norris, who also represents a national landlord group, both were providing evidence on behalf of their respective associations regarding the impact for landlords and letting agents when the tenant fee ban comes in to place in Wales. With over 100 pieces of housing legislation already in place in Wales, including the Landlord and Agent licensing scheme, ‘Rent Smart Wales’. Is there a need for additional rules and regulations on landlords? Douglas Haig argues that we should be using the existing regulations in place for landlords in order to protect landlords, tenants and agents interests. There are questions raised on policing even further policies and the restraints and pressures of new legislation pushing landlords out of the private rented sector. A significant theme throughout the discussion is the overbearing legislation on landlords in Wales and associated costs of this, including the registration and licensing charges associated with Rent Smart Wales as well as tax burdens with the loss of Mortgage Interest Relief. The buy to let industry has already had to adapt to these recent changes, therefore the tenant fee ban, only furthers the financial restraints placed on landlords and letting agents, which in turn forces some out of the lettings market. At a time when private renting is increasing in demand, the supply of rental properties is already being outweighed by the demand and landlords leaving the sector will only contribute to the deficit further. For those landlords and letting agents who will remain in the industry following the ban, it has been predicted that the industry would turn into a tournament for those who are looking to take a property. With no financial commitment for reserving a property from the outset, it could lead to rents rising, with tenants offering higher rents per month in order to reserve the property. In addition, with tenants not having to commit financially to a property for let, landlords may encourage a bidding war. The general theme of the discussion was that essentially, the tenant fee ban in Wales would impact the rental market by increasing costs and pressure for landlords. In an industry which has already been scrutinised by recent tax changes, it is considered that the banning of fees in Wales will deter those looking at becoming a landlord and current landlords seeking exit strategies in the near future, putting further pressures on the housing crisis in Wales.